Why Honduras? Why should we help? 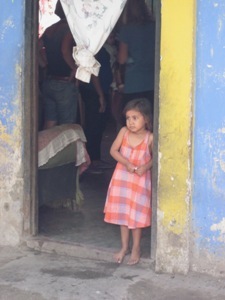 According to the World Food Program one-third of the population in Honduras makes less than one dollar a day. It is one of the most vulnerable countries to natural disasters in the world and extreme weather conditions frequently contribute to the problem of food insecurity. Hurricanes and prolonged heavy rains ruin crops and can prevent access to food, which can lead to chronic malnutrition and a stunting rate of 34 percent. Children who do not get the recommended calorie intake compensate for the lack of energy by slowing down mental and physical activities. A hungry child cannot concentrate or take initiative and loses all desire to play and/or study. Hunger also weakens the immune system and makes hungry children especially vulnerable and they become too weak to fight off disease. They may die from common infections like measles or diarrhea. 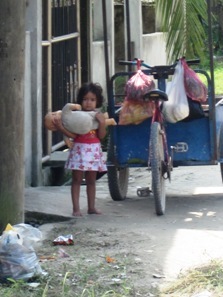 A third of all deaths in children under the age of five in developing countries are linked to undernutrition. His Hands for Honduras was formed in 2012 when a partnership was formed with Pastor Gregorio Medina and his wife Francisca of Iglesia Cristo Centro Zolano, facilitated by believers from Grace Point Church in San Diego, California, to help bring hope to the children of Honduras through child sponsorship. We are working with Pastor Gregorio and Francisca who have started a children’s feeding program in the colony of Zolano, near San Pedro Sula, in the Northwestern part of the country. 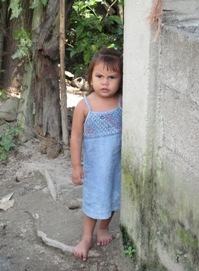 For a monthly fee of just $32.00 you can sponsor a needy Honduran child. Your sponsorship will help feed them one meal a day, send them to school, take care of basic medical needs, and help change their life! 100% of your sponsorship payment goes to the children in need and to the school. None of it goes toward the administrative expenses of this program.